Lines from the Art Room: April is COLOR Month! What better time of year to begin the exploration of color than the beginning of Spring! The Massachusetts Arts Curriculum Frameworks states that, “For color, [students will] explore and experiment with the use of color in dry and wet media; identify primary and secondary colors and gradations of black, white and gray in the environment and artwork; explore how color can convey mood and emotion.” Students at all levels will be creating art focused on this understanding. The kindergarten classes have been studying color for a few weeks. They learned about primary and secondary colors, and created a Book of Color which you may have seen come home already. We read the book Chameleon’s Colors and drew our own chameleons, giving them creative colors. Students also learned the acronym ROY G. BIV to help them remember the colors of the rainbow. This week students did some color matching as they created their bottle cap mural. I hope to have it hanging in the lobby by the end of the week. First graders will be studying the art of Winslow Homer, an artist famous for his beautiful seascapes. He used WARM and COOL colors in his work, which the children will learn through viewing a slideshow of his art. They will then create their own seascapes through the use of multiple media including watercolor, crayon, and popsicle sticks. The second grade students will be reading the book Hello, Red Fox by Eric Carle to learn about Goethe’s color theory and COMPLEMENTARY colors. Then, they will create a color wheel pizza in marker and crayon. COMPLEMENTARY colors will be reinforced with the third grade as they study the work of artist Vincent van Gogh. The artist used complementary colors in his work, and students will create a still life using oil pastels based on one of his paintings. Artist Sonia Delauney will be the inspiration for symmetrical circle designs created by fourth graders using oil pastels. This project will also support math concepts currently being studied in their regular classes. Fifth graders will continue working in the 3rd dimension as they begin to explore clay. They will create textured clay houses, which will be fired in the kiln and glazed during the next rotation. Glazing will support our study of color concepts. Lastly, I want to remind everyone to check out the art blog at http://jrbriggsart.blogspot.com/. I have made many changes and additions to the blog throughout the year, and it is an exciting place to get art news and see what is going on in your child’s classes. You can view any slide show that your student has seen in class with the links listed on the blog. There are also a variety of art related online activities for students to check out. I hope seeing what we are creating in class will help you discuss your child's artwork with him/her! Please feel free to leave comments or questions as well. 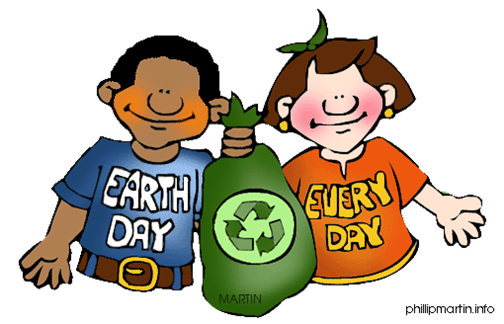 Have a wonderful Spring vacation, and don’t forget to celebrate Earth Day on April 22. You can find Earth Day related activies and links at http://www.earthday.org/2012.